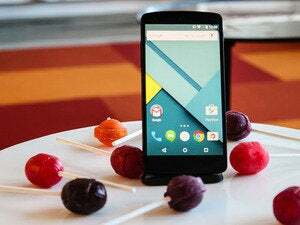 Almost a year after tipping its hand at Google I/O 2014, Google announced Android for Work, a way to lock down sensitive business data on personal Android phones owned by employees—using versions of Android either old or new. Why this matters: Locking down sensitive company data is a nightmare for corporate IT providers—and for employees, too, who have to worry what will happen if they unexpectedly leave the company. While KNOX isn’t a bad implementation, it’s specific to Samsung products. Something that works for all Android devices is a better solution, and on the face of it, this looks pretty good. 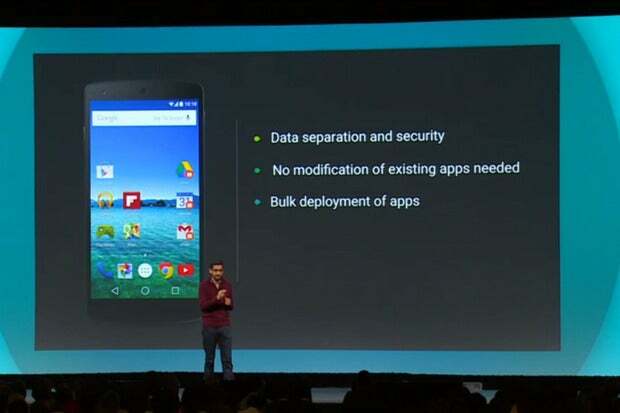 Google's Sundar Pichai announced Android for Work a year ago. 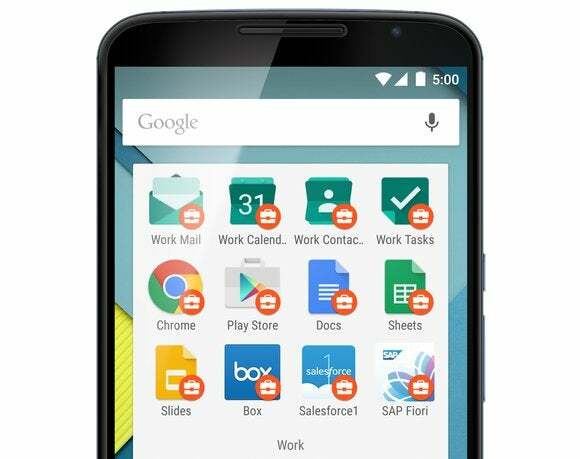 Android for Work is Google’s realization that the days when companies handed out dedicated business machines are over. Instead, users are bringing their own devices into the workplace, with the expectation that they’ll be able to access sensitive company data upon them. In return, those companies are requiring employees to lock down those devices, to protect corporate information. Several solutions already do this in the Android world, including TouchDown HD and Samsung’s own KNOX technology, added to several of its phones beginning in 2013. KNOX, TouchDown and now Android for Work wall off the data in a secured data lockbox within the device. Admins can remotely wipe just the business data if an employee leaves the company or the phone is lost, preserving the employee’s personal content, such as their own contacts and photos.